Milk. In Western societies, milk is considered a staple (along with bread) and goes well with many things: cereal, coffee, sauces. But as the article from BBC found out, this has only been a recent phenomenon. The acceptance of milk as a staple was born out of the age of health food and health movement. During the age of health food, there was growing interest in treating the sick through simple food. This idea was coined by John Harvey Kellogg, inventor of corn flakes (surprise, surprise!) and head doctor of the famed sanitarium in Michigan. The health movement came about due to the rise in infant mortality in larger cities. It was attributed to the fact that old milk was breeding ground for bacteria and farmers could not transport milk from the farm to the cities quick enough for consumption. The call for safer standards and practices brought about practices that lasts even till today i.e. pasteurization of milk. In the 20th century, advances in the knowledge of human nutrition revealed milk to not only have fat, carbohydrate and protein, but also other vitamins and minerals. 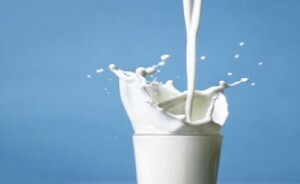 This propagated the idea that drinking milk was able to correct deficiencies in the diet. Of course, things spiralled from then on: such as “having a glass of milk every morning to strengthen your bones”.